Parsapour, A., Fathi, M., Salehi, M., Saatchi, A., Mehdikhani, M. (2007). The Effect of Surface Treatment on Corrosion behavior of Surgical 316L Stainless Steel Implant. International Journal of Iron & Steel Society of Iran, 4(1), 34-38. A. Parsapour; M. H. Fathi; M. Salehi; A. Saatchi; M. Mehdikhani. "The Effect of Surface Treatment on Corrosion behavior of Surgical 316L Stainless Steel Implant". 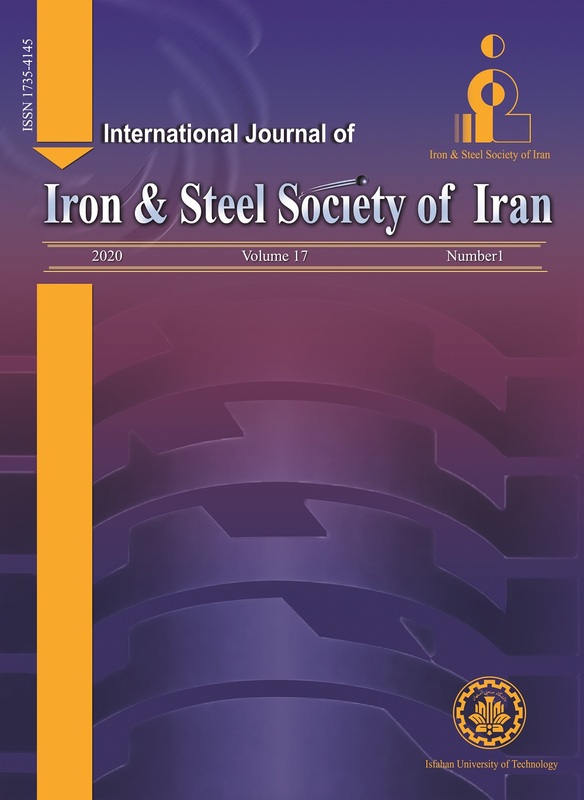 International Journal of Iron & Steel Society of Iran, 4, 1, 2007, 34-38. Parsapour, A., Fathi, M., Salehi, M., Saatchi, A., Mehdikhani, M. (2007). 'The Effect of Surface Treatment on Corrosion behavior of Surgical 316L Stainless Steel Implant', International Journal of Iron & Steel Society of Iran, 4(1), pp. 34-38. Parsapour, A., Fathi, M., Salehi, M., Saatchi, A., Mehdikhani, M. The Effect of Surface Treatment on Corrosion behavior of Surgical 316L Stainless Steel Implant. International Journal of Iron & Steel Society of Iran, 2007; 4(1): 34-38. The AISI 316 L Stainless Steel (SS) specimens were exposed to passivation surface through two different processes including; holding in 40-vol% HNO3 at temperature of 60 ºC for 30 min and 15-vol%H2SO4 at ambient temperature for 1 hour. The corrosion behavior of specimens was evaluated in physiological solutions by electrochemical in vitro tests through linear and Tafel polarization tests. Cyclic polarization tests were performed for investigating of the specimen’s resistance against pitting. Finally, the corrosion resistance of untreated and modified specimens was compared. The results show that the corrosion resistance of 316L SS metallic implant is increased due to passivation surface treatment. M. H. Fathi, M. Salehi, A. Saatchi, V. Mortazavi, S. B. Moosavi, Dental Mater. 19(2003), 188. D. Sharan. Orthopaedic Update (India), 9(1999), 1. C. C. Shih, C. M. Shih, Y. Y. Su, L. H. J. Su, M. S. Chang, S. J. Lin, Corros. Sci. 46(2004), 427. S. Kannan, A. Balamurugan,S. Rajeswari, Electrochimica Acta, 49(2004), 2395. ASTM G5: Vol 03.02, American Society for Testing and Materials, (1995), 48. ASTM F 746, 33(1977), 221. UrsI.Thomann, Peter J. Uggowitzer, Wear 239(2000), 48. ASTM F86 Vol. 13.01, American Society for Testing and Materials, (1998), 7. J. M. Bastidas, C. L. Torres, E. Cano, J. L. Polo, Corros. Sci. 44(2002), 625. M. F. Montemor, M. G. S. Ferreira, N. E. Hakiki, M. Da Chunha Belo, Corros. Sci. 42(2000), 1635. C. C. Shih, C. M. Shi, Y. Y. Su, L. H. J. Su, M. S. Chang, S. J. Lin. Corros. Sci. 46(2004), 427. J. S. Noh, N. J. Layacock, W. Gao, D. B. Wells. Corros. Sci., 42(2002), 2069. F. S. SHIEU, M. J. DENG and S. H. LIN, Corros. Sci. 40(1998), 1267. M. H. Fathi, V. Mortazavi, S. B. Moosavi, J. of Dentistry, Tehran University of Medical Science, 15(2002), 48. K. Bordji, J. Y. Jouzeau, D. Mainard, E. Payan, J. P. Delagotte and P. Netter, Biomaterials, 17(1996), 491.